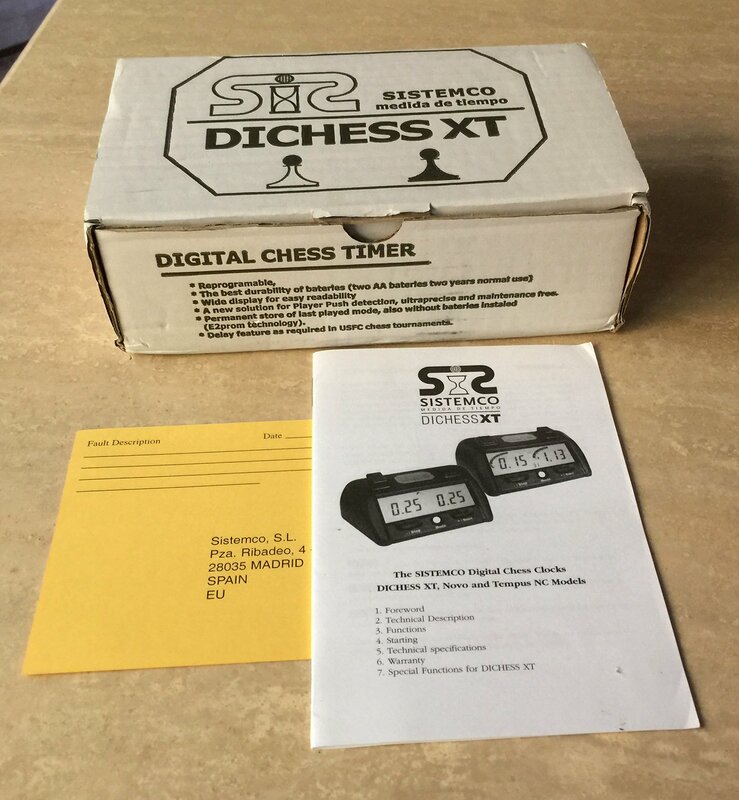 Sistemco Chess Clock DICHESS XT. Offered here is a Sistemco Chess Clock DICHESS XT. 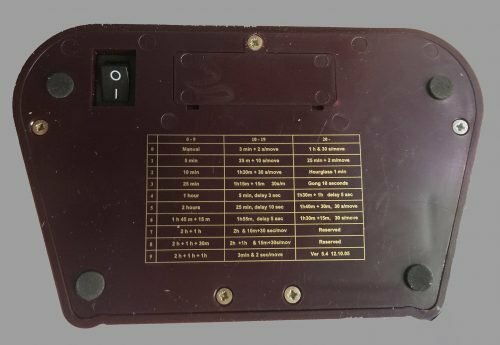 It is fully programmable The burgundy plastic case measures 6-3/4″ x 4-3/8″ x 2-1/4″ tall. 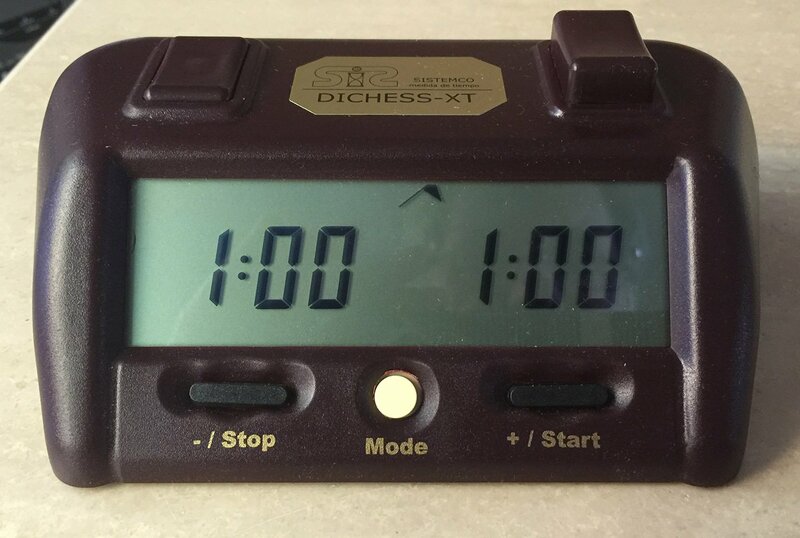 The chess timer uses two AA batteries. The Sistemco Chess Clock DICHESS XT Programmable Delay Clock has 26 presets, two reserved and one manual. It features Delay, Increment, Fischer, Bronstein, Gong and Hourglass time controls. The clock is new and comes with its original box and instruction booklet. More information on the clock can be found at http://www.sistemco.com/manuals/manual_dichessxta_en_release_54.pdf. Spanish-made, around 2010.